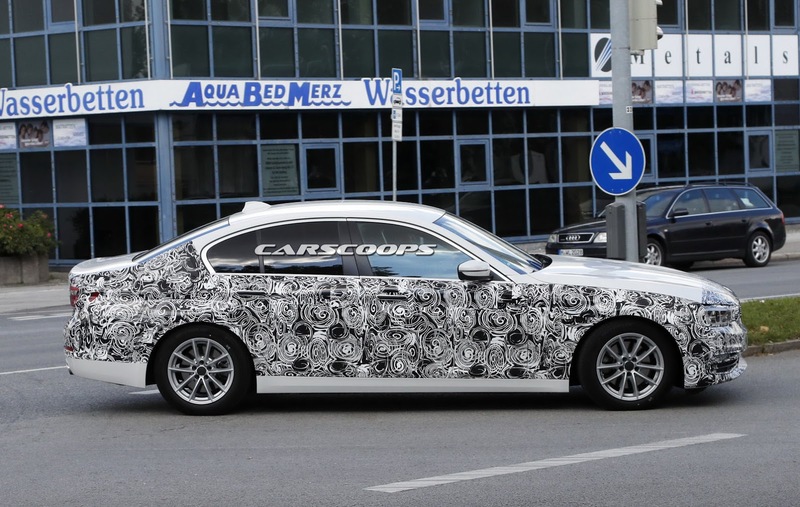 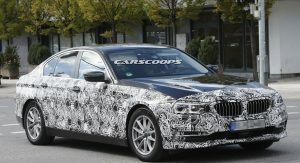 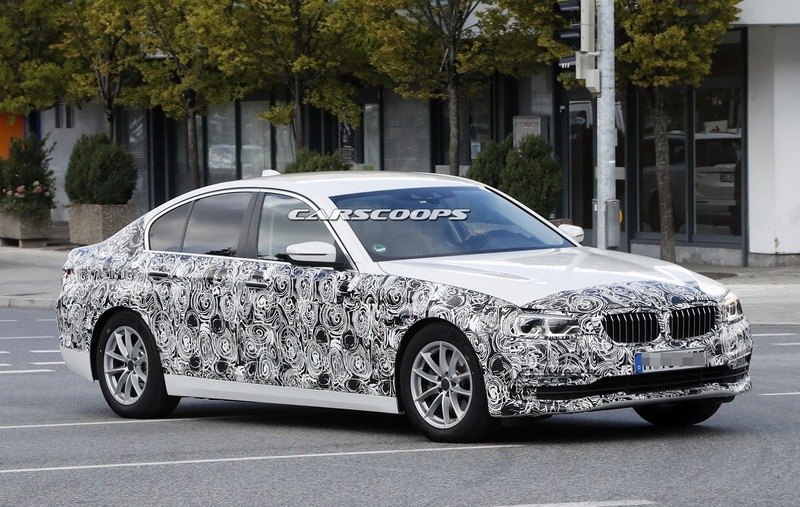 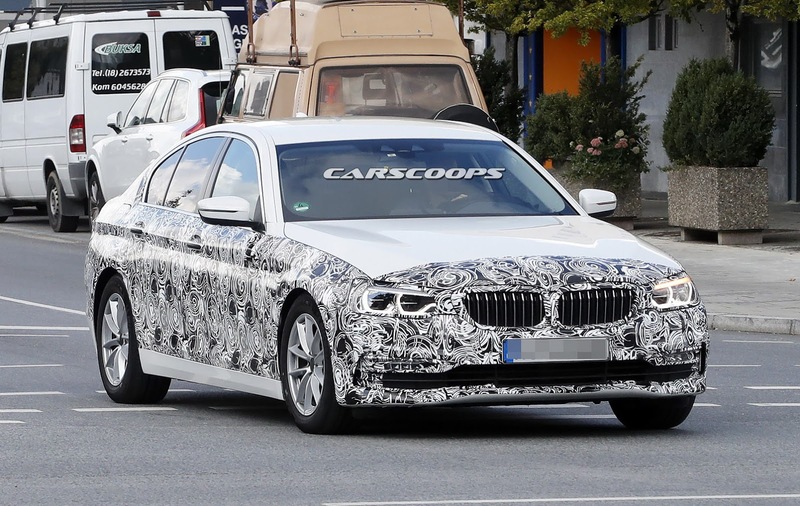 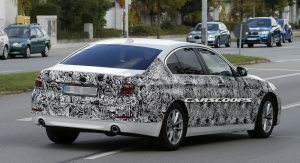 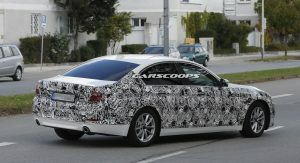 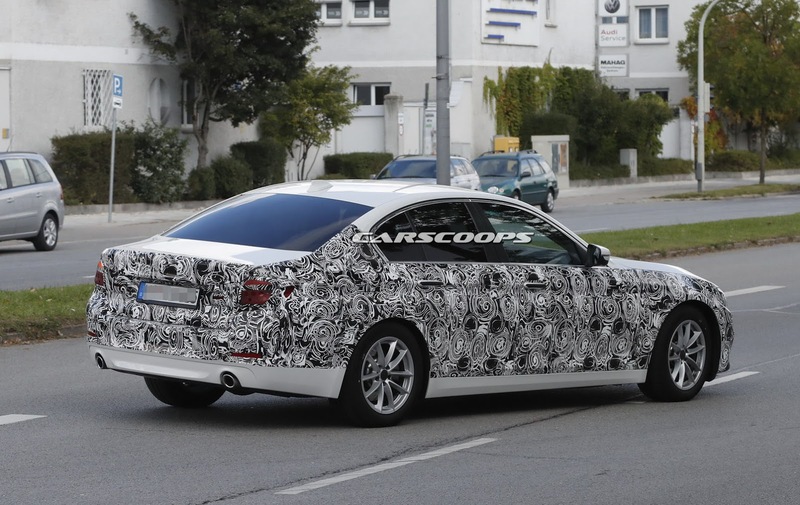 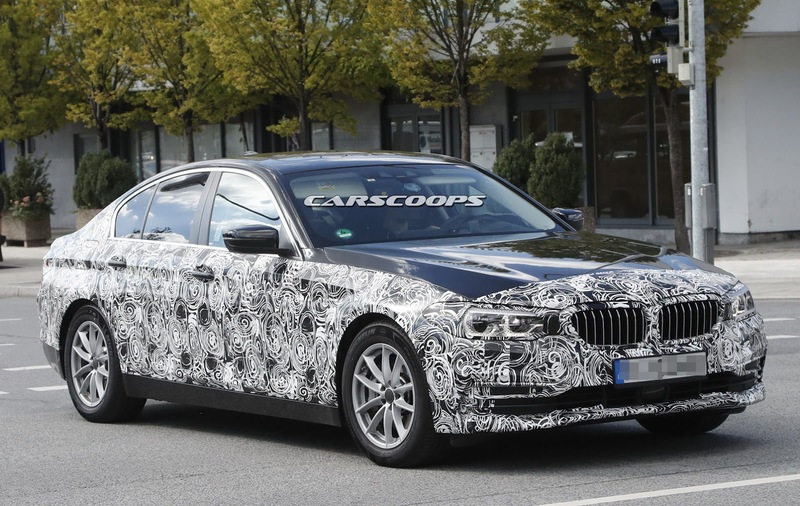 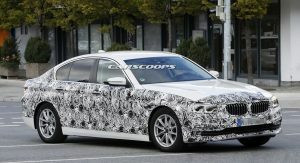 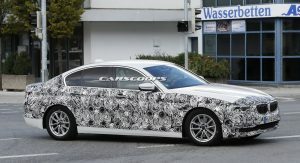 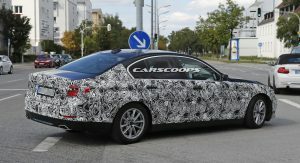 As the new 5-Series is edging closer to its official launch, BMW is gradually removing the camo wraps off the prototypes that are roaming the streets. 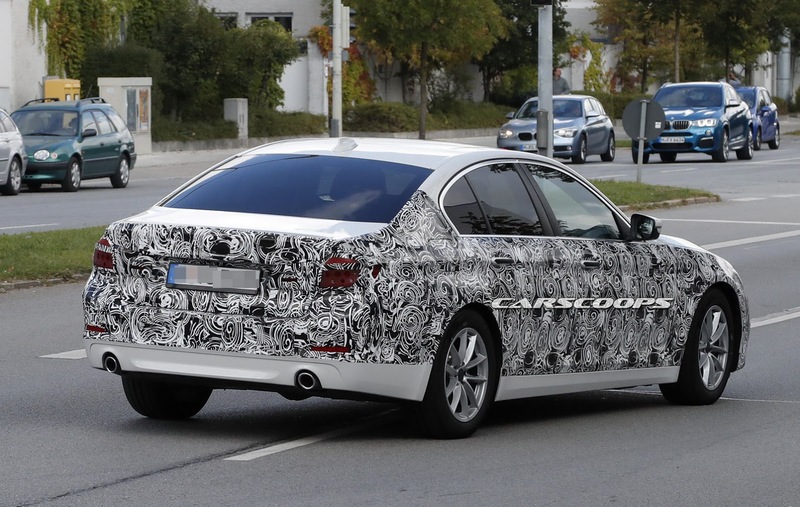 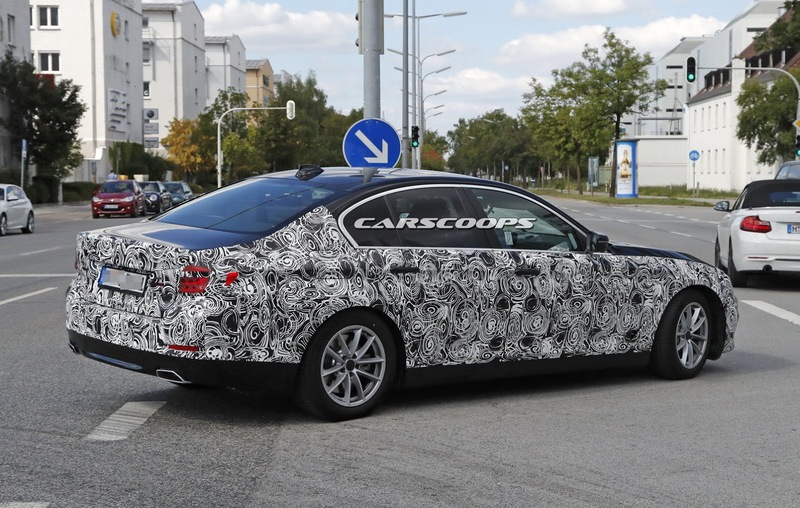 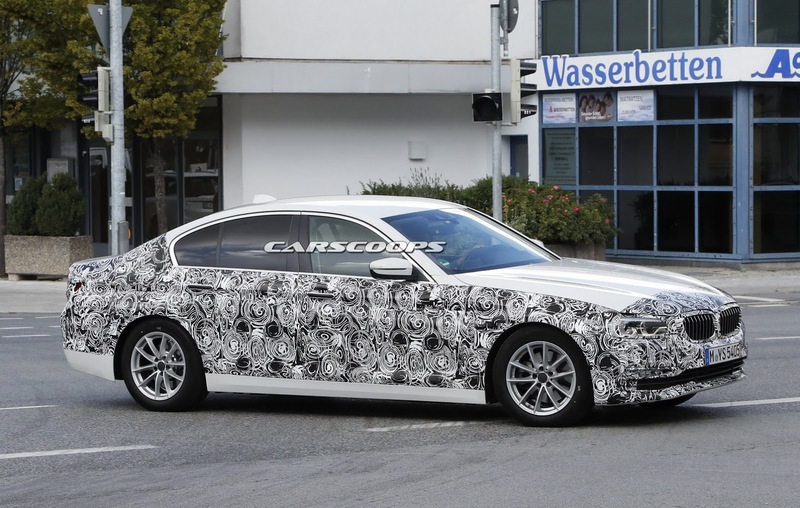 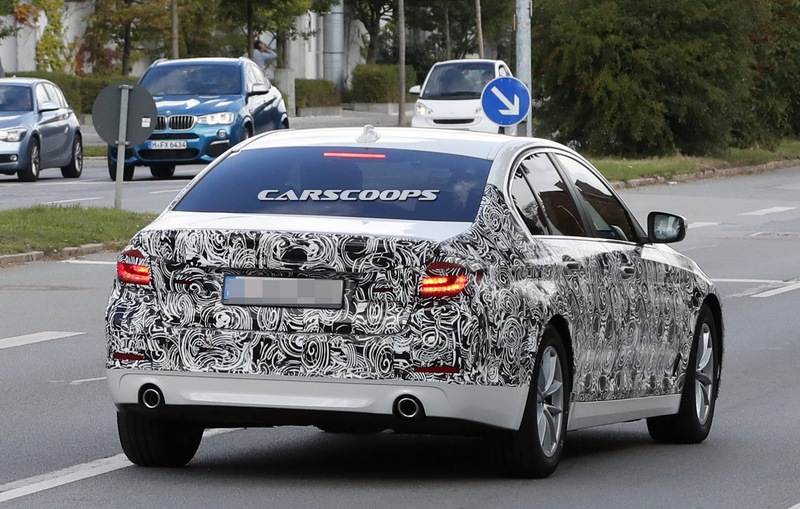 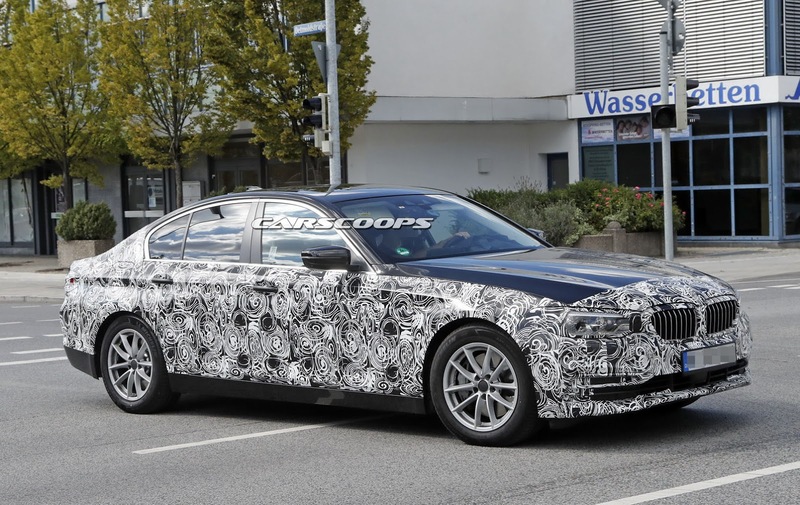 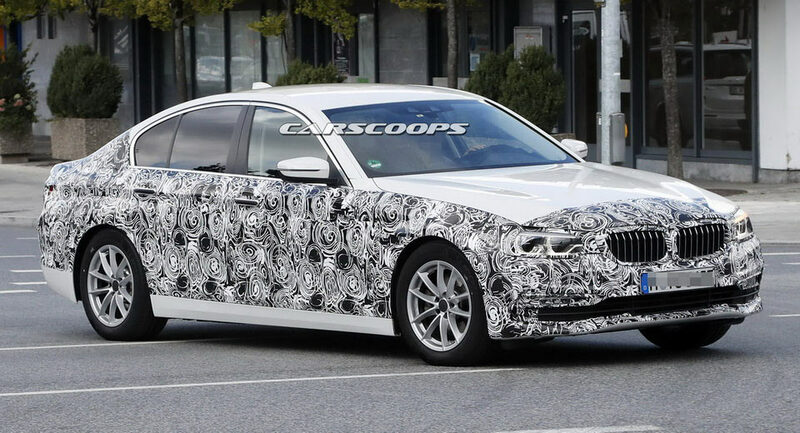 So far, we have a pretty good idea on how the new 5-Series, codenamed G30, will look like. 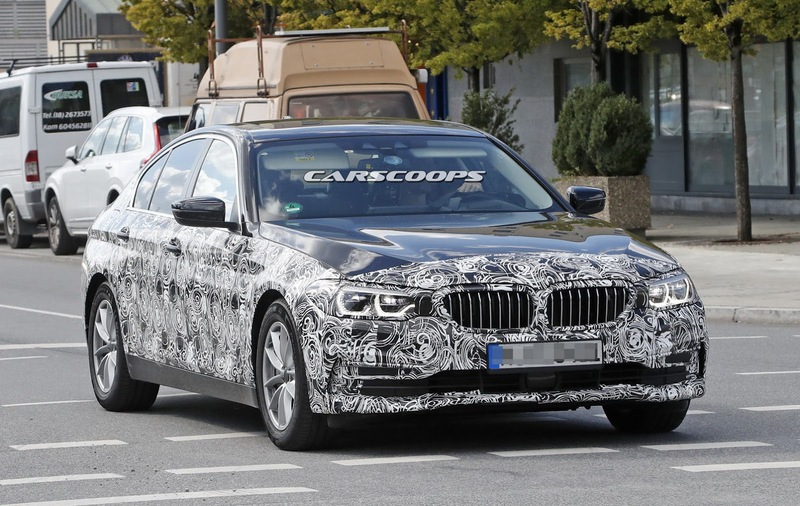 It will certainly not break any molds with its design and, by the looks of it, will be more like a smaller, sharper version of the 7-Series, but there is a lot more to it than meets the eye. 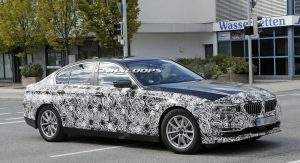 Based on the Cluster Architecture (CLAR) that was introduced in the latest 7er, the new 5-Series is expected to be up to 100kg (220lbs) lighter than its predecessor thanks to the increased use of aluminum in the chassis that will also benefit its structural rigidity. 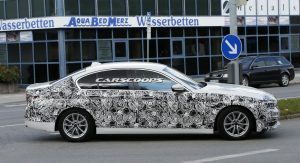 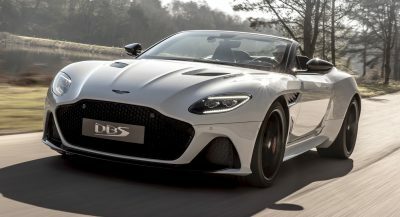 Contradicting previous reports, the latest intel says that the carbon-fiber bits will remain an exclusive to the flagship due to cost restraints. 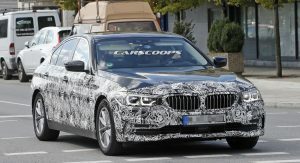 BMW has also added a new electric steering, while the car will continue to use double wishbones up front and a five-link suspension setup at the rear, both of them completely re-engineered to take advantage of the new platform. 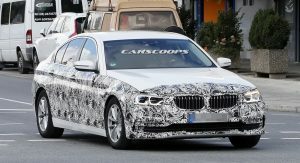 The new 5-Series will be powered by a wide range of four- and six-cylinder turbocharged units, both petrol and diesel ones. 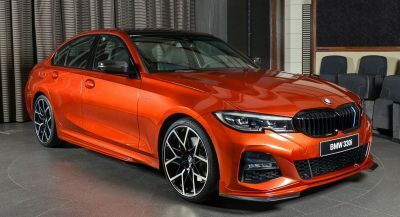 All four-bangers will be 2.0-litre units in various states of tune, with the most powerful petrol version to be found in the 530i. 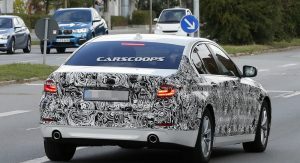 In the same fashion, the six-cylinder engine options will be 3.0-litre units, offered in petrol (540i) and diesel (530d and 540d) versions. 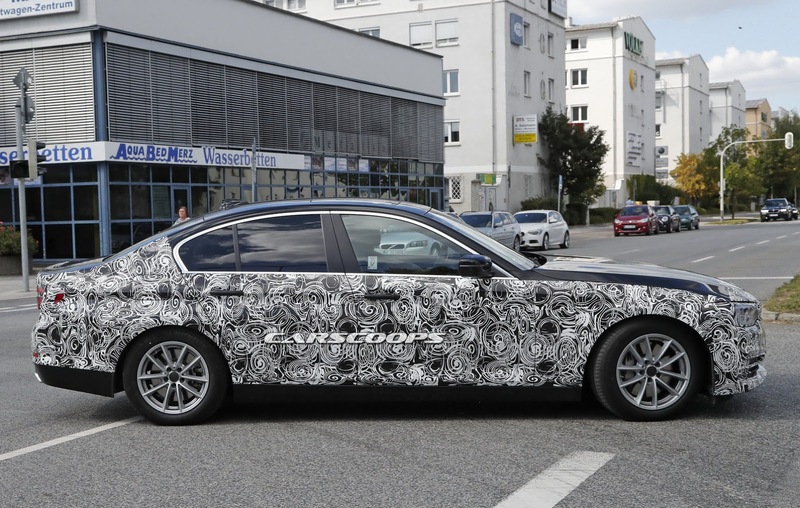 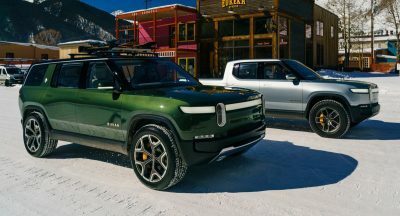 An active four-wheel steering system will be available as an option to both rear- and all-wheel drive (sDrive and xDrive in BMW-speak) models and, apart from a sports suspension, there’ll also be an electronically controlled one. 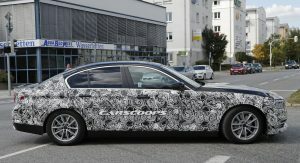 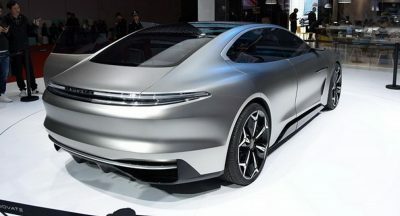 If the latest info turns out to be accurate, BMW will most likely bring out the five-door 5-Series GT first, at the Paris Motor Show, with the official reveal of the Sedan set for October, though not in the French capital.